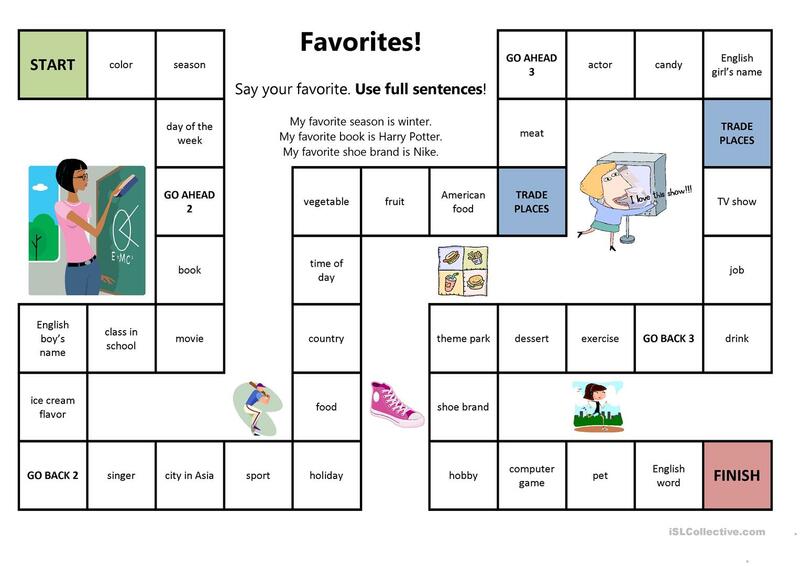 Simple board game to practice "My favorite ___ is..."
The above downloadable worksheet is meant for high school students and elementary school students at Elementary (A1) and Pre-intermediate (A2) level. It is excellent for honing your groups' Speaking skills. sachica08 is from/lives in South Korea and has been a member of iSLCollective since 2011-12-24 11:54:55. sachica08 last logged in on 2012-12-24 11:43:21, and has shared 3 resources on iSLCollective so far.